Businesses have “rediscovered” Mail Advertising, and it has experienced a resurgence as a valuable form of marketing. As the angst and concern has grown regarding online privacy and hacking of confidential information, consumers are now, more than ever, hesitant to open emails and click on digital ads. Mail proves it has the best advertising return on investment. Our “mailers” national conference is one of the only annual events left today that focuses on all the relevant topics pertaining to the mailing and postal world. This is your opportunity to come discover the latest information on mail advertising. 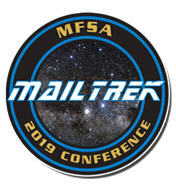 The MFSA conference will feature everything from cutting edge equipment to the latest in direct mail campaign techniques. I know your attendance will yield the best Return on Investment of any conference you will attend this year!